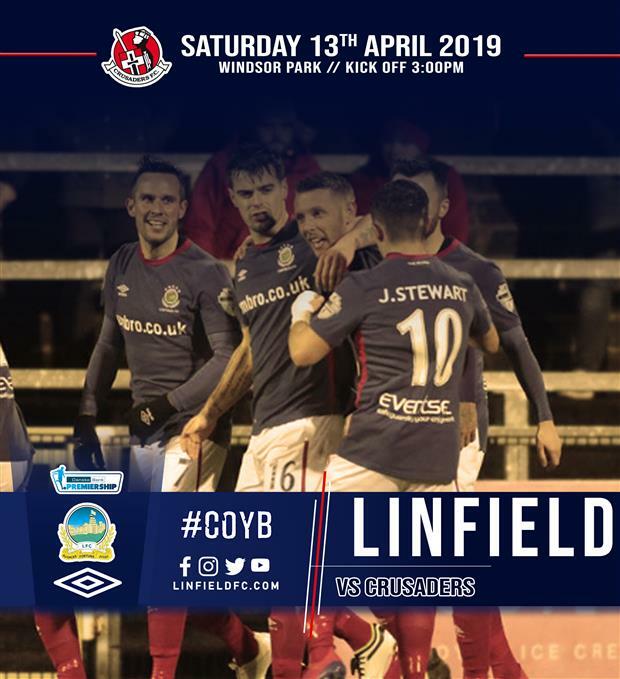 Matchday 35 of the NIFL Danske Bank Premiership sees Linfield entertain Crusaders FC at Windsor Park (3pm ko) in the second post-split fixture of the season. The teams have already met fives times in three different competitions, with Linfield winning all of the Premiership games but losing an Irish Cup tie and the CAS Final. 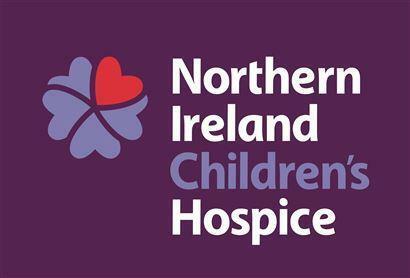 In their last outing Linfield moved tantalising close to securing the Premiership title after defeating second placed Ballymena United (1-0) at the Showgrounds. On a difficult pitch both teams pushed forward at every opportunity in search of what was to prove to be the opening and only goal of the game. The deadlock was broken early in the second half goal when Andy Waterworth conjured up yet another massive goal to put the Blues in front. It has been no surprise this week to see Andy accept a new two-year deal from the Linfield management. Chances came and went at both ends in an absorbing contest between these two very evenly matched sides. But it was to be a night to remember for the travelling Blues supporters, who erupted in unison at the final whistle to cheer the clearly estatic LInfield players and staff off the Showgrounds pitch. Crusaders come to Windsor on the back of a disappointing defeat (2–1) when conceding two late goals at Glenavon. This has been a frustrating Premiership campaign for the league champions who will now be concentrating on securing a second place finish in the table. 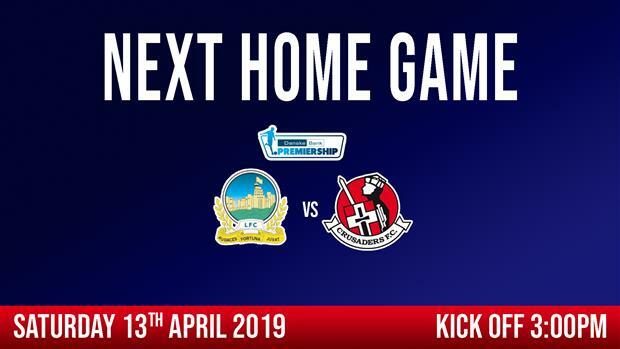 The Crues do however have another visit to Windsor Park pencilled in as they will return for the Irish Cup Final against Championship side Balllinamallard United in May. Linfield find themselves on the cusp of bringing the Gibson Cup back to Windsor Park. Sitting 12 points ahead, with a vastly superior goal difference (+50), leaves the Blues requiring just one more point from four remaining league games. The Blues have the added bonus of playing the first three of these games at home. It would surely take an upset of biblical proportions to deny Linfield a second league title in three seasons! Linfield will be heading into Saturday's game full of confidence following some fine performances and results in recent weeks. David though will be only too aware of the threat posed by a Crusaders side who will be striving for a second place finish to avoid having to participate in a European play-off game. On the other hand, the Linfield faithful will be arriving at the 'Park' hoping to leave in celebratory mood and believing that the Linfield players can deliver yet another big performance to finally clinch the title! Hopefully they can do just that! COYB!